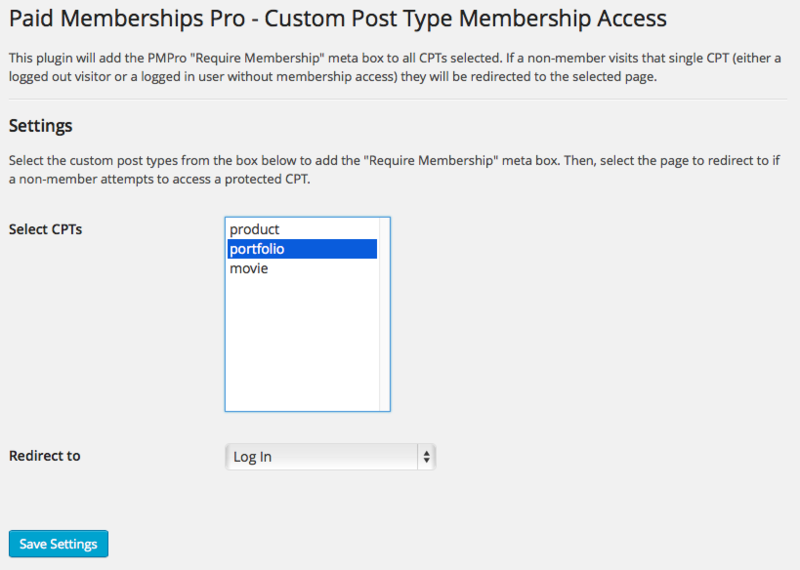 This plugin will add the PMPro “Require Membership” meta box to all CPTs selected on the Settings > PMPro CPTs admin page. 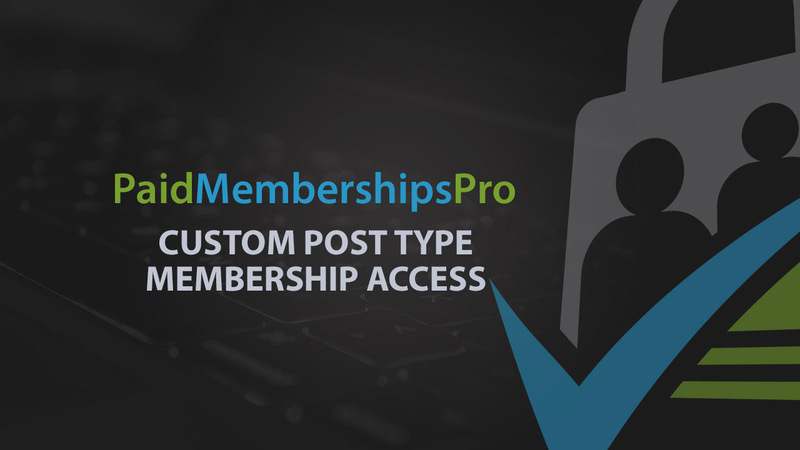 If a non-member visits that single CPT (either a logged out visitor or a logged in user without membership access) they will be redirected to the selected page. It even works with WooCommerce for “members only” products (redirects users without access from the single product view). Or, download the plugin file and upload the ‘pmpro-cpt’ directory to the ‘/wp-content/plugins/’ directory of your site. Navigate to Settings > PMPro CPTs in the WordPress Admin to select custom post types and set redirection rules. This redirection will also apply to a search engine indexing your site. 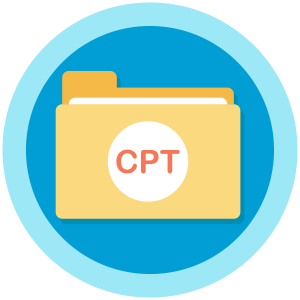 Setting membership access restrictions for a single CPT will not necessarily hide it from archives, search, or other custom templates built into your theme.